Welcome to the Four Beach Lovers (Formerly Dawg Daze). 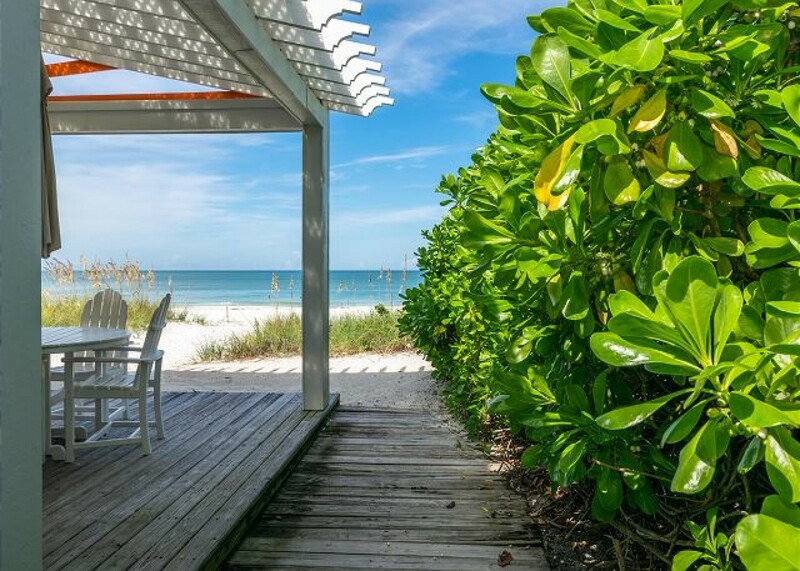 Located at 2908 Avenue E in Holmes Beach, this gulf front tropical paradise features four well-appointed and comfortable one bedroom units. Each of the four units is fully equipped and tastefully furnished. All four units feature a private patio area and a charcoal grill for your use. The Four Beach Lovers complex is surrounded by lush, native landscaping and decks. It even features a charming gazebo with adjoining fountain and old fashioned "porch" swings! Did we mention the beach? Walk out your door and you're on a wide expanse of white sand with a back drop of azure blue water and white clouds. This is a frequent spot for dolphin watching!